One of the greatest apps on Earth, Google Voice, has an update available that should help to improve your battery life even though part of it also allows for your screen to stay on while listening to voicemails. I know, it seems like two things that would work against each other, but you know what? We’ll take Google Voice for its word, since it’s so awesome. The other major app to receive an update today was Flash 10.3 which actually ends up being pretty interesting even after we originally thought it was just another “security enhancement” thingy. After checking out the official changelog, we noticed that it now supports “NEON optimizations for OMAP4 (Cortex A-9) based devices.” And why is that interesting? Well, because we don’t currently have any Android devices running OMAP4 processors, but are expecting the DROID3 to be one of the first. We first reported that the D3 could be out by July 7, so with Adobe letting the world know that OMAP4 phones are just around the corner, we’re hoping they are referring to our next family member. 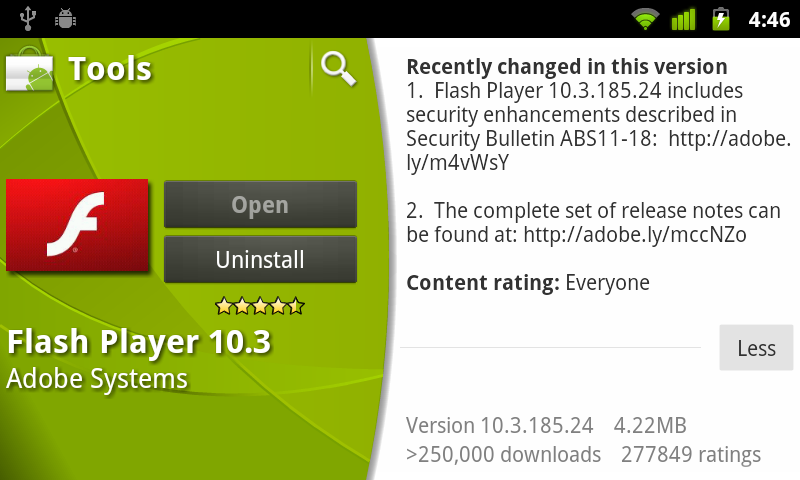 More info on the Flash update here. RUMOR: Next Google Nexus Device Possibly Detailed, Will be 4G LTE?